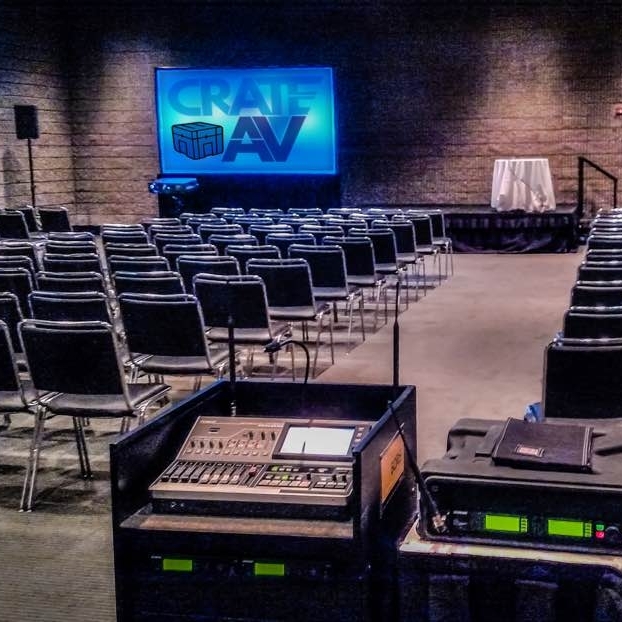 Crate Audio Visual handles a variety of event types. Browse to see what we can do for your next meeting and event. Ideal for social events, small conferences, training sessions and breakout rooms. Up to 50 attendees. Ideal for larger conferences, professional presentations and events that require audio amplification. Ideal for general sessions, award ceremonies, multiple large format screens, and complex audio cues. We rent printers, iPads, laptops, accessories and more. All the event technology you need to do you thing.